1. Focus – Relax, be calm, be still. Give everyone a moment to clear their mind of the day's clutter, and to simply be present in the moment. Perhaps choose an applicable verse or passage you can read during this time. 2. Thanksgiving – Have group members simply call out some of the things for which they are grateful. These might be big items or small items. They may be something that God has done for them or they may be thankful for an attribute of God. Close the time by leading the group in a short prayer of thanksgiving. What's On Your Group's "Kill List"? 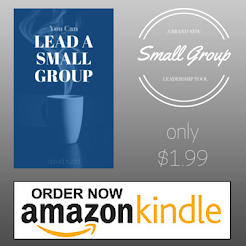 The goal of Small Groups is SPIRITUAL FORMATION of the members. If people in the group are not being formed by the Spirit into the image of the Son, then the group is not worth having. One of the Bible's great passages about spiritual formation is Colossians 3. It includes some vivid pictures of the necessary work if we are to become like Christ. We must remember when we read these passages that the “you” is plural. Paul did not have the individual in mind first and foremost, he had the community in mind. Again, it is fair to say that God’s intent is for us to be formed in his image within a community where our individuality can truely become all it was meant to become. Spiritual Formation from Colossians 3. “devoted” (vs. 42) – Being part of the church is a crucially important element of a person’s life; LIFEgroups allow someone to be devoted to relationships rather than programs or meeting times. “everyone” (vs. 43) – No one was sitting on the sidelines of the Acts 2 church. Because of their size, LIFEgroups provide an environment in which everyone can actively participate. “together” (vs. 44) – Lone Rangers were not an option in Acts 2. Individualism was non-existent; LIFEgroups are formed on the idea that Christians should be living life together with other Christians, not alone. Members who are committed to a life of obedience to God through faith in His SonSeeking to better understand God’s nature and enact his character as a groupHaving the confidence to ask for prayer from one anotherSharing personal needs and struggles with each other and seeking as a group to meet those needs and alleviate those strugglesExhorting one another to live the lifestyle of a Christ follower rather than the lifestyle of the worldFulfilling the Great Commission by bearing witness to the Kingdom, confessing the Gospel, and making new disciplesFinding ways to “love our neighbors” by meeting the needs of those in West Michigan and around the world Should each of these "marks" be true of small groups? Why or why not? What would you add? What would you subtract? Every group should exist for a purpose beyond meeting together. At Calvary, we talk about groups being "missional" because we want them to have a mission they are accomplishing together. I think this is a healthy endeavor for any group. If your group is looking for an easy first step into having a missional mindset, I'd recommend KIVA. This is nothing more than a financial investment (no time, no effort), which is often the easiest way for people to begin their "generosity journey". I'm a big fan of Kiva, and have invested with them on several occasions. Using Kiva, myself and a many other people have banded together to loan people the money they need to launch their own businesses (like buying a cow and selling its milk). The'll pay us back eventually and with my Kiva account, I'll use the money I get back to help make another loan to someone else. Learn more about Kiva here. Meandering Thoughts About the Nature of Small Groups: you are THE church. I can't prove this, but I think the early church meetings were a lot more like small group meetings than they were like big church meetings. I base this partly on the idea that the first Christians met in houses rather than auditoriums. I think those early gatherings consisted of people sitting in circles and facing each other rather in than in rows staring at the backs of other people's heads. I think in first century church gatherings, the followers of Christ enjoyed coming together and sharing their lives. I think they loved the opportunity to get together and encourage one another. I think they found joy together in focusing on Christ and how He was changing their life. At this point, it feels that I'm rambling on, but I'm actually writing all this for a simple reason. I think we should be careful not to underestimate our small group time. Sometimes, we are tempted to view a small group meeting as a "part of" church. It is much bigger than that.